About 15 miles (24km) south of Atlanta in Clayton County is the town of Jonesboro, a not-to-be-missed destination for movie fans and those hankering for a taste of the real 'Deep South'. 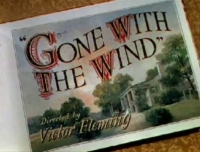 Jonesboro was the setting for Margaret Mitchell's acclaimed novel, and later film, Gone with the Wind. Devotees come to see the local historic plantation houses and learn about the real people whose lives inspired the fictional characters of the novel. In Main Street, the Road to Tara Museum is housed in the Jonesboro Depot Welcome Centre, containing original props, costume reproductions, doll collections, and an extensive photo gallery associated with the making of the movie. The Welcome Depot is also the departure point for daily tours, starting at 1pm (except on Sundays). The tours offer a behind-the-scenes glimpse into the true life stories on which the book was based. In Carriage Drive, a beautiful Greek Revival plantation home dating from 1839 is open to the public along with its authentic outbuildings. Opening times: Road to Tara Museum: Monday to Friday 8:30am-5:30pm, Saturday 10am-4pm; Stately Oaks: Monday to Saturday 10am-4pm. Gone With the Wind Tour: Monday to Saturday 1pm, or by appointment. Admission: Road to Tara Museum: $7 adults; Stately Oaks: $12 adults, $6 children. Gone With the Wind Tour: $24.95.